Aleatha Romig talks about her second book Truth. Truth is the second in the Consequences series. I must agree with other readers and reviewers, if you haven’t read Consequences, please stop reading this! You must read Consequences first! It is currently only $0.99 on Kindle and Nook, so download today! Once you have experienced the Consequences, you will be ready to learn the Truth! The allure of my series is the unpredictability! I love to read twists and turns and I hope I shared many of those with my readers! Truth is not a standalone book... it takes off where Consequences ends. And I don’t want to give away any spoilers! I will let Alexis from Goodreads tell you about the continuing saga of Tony and Claire – she nailed the synopsis!! Truth begins as Claire is released from prison, after doing an eighteen month stint. Shocked yet grateful she seeks solace in sunny California with an unexpected friend. Happy days of freedom don't last forever because when Tony gets word of her release....Well....Let's just say he is none too pleased. His unhappiness, however, does not stem from her newly found freedom but from his loss of control. AND that he still wants her, something he never anticipated. A new game begins with a host of new players. Unbeknownst to him, puppet master Tony is no longer pulling the strings. There is someone more EVIL lurking around to take out both Claire and him. This new puppet master is ten times colder, twenty times more calculated and very much determined to win. Truth takes off with a BOOM and keeps up the momentum at high rate speed; with a perfectly spun web of events that are mind consuming. Romig has crafted a well-developed plot, strong characters and jaw dropping story lines. This book will keep you on the edge of your seat the whole time as the truth is slowly revealed piece by piece. I love the reviews that talk about how their previously conceived ideas and opinions are shattered as they learn the truth behind the consequences. I believe that is why I wrote Truth. I wanted to know why Tony did what he did. I mean we have a glimpse, but that wasn’t enough. I also wanted answers... where any of the emotions in Consequences real? Was Stockholm syndrome the only reason for Claire’s emotions, or was there more? I wrote Consequences as a standalone book. I left the end open, just in case. I didn’t know the answers or the Truth until I began to type. I love having a story unfold behind my eyes and come to life on the page while I am helpless but to follow. Tony and Claire and other wonderful characters have a life of their own and I am just the one chosen to share it. Some of the developments in Truth surprised me as much as you! I also wanted to reinforce my opinion of Claire’s strength. She is in a terrible position in Consequences... she does what she needs to do to survive. In Truth she is real! She is free, surrounded by friends and able to stand up for herself. I love her new found independence and especially her smart mouth! I think Tony also finds it intriguing!!! What have the readers thought?? Nia: Goodreads: Brilliant! Best of the Best! Aleatha Romig does it again! 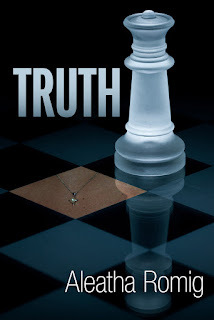 Truth is well written, powerful and full of unexpected twists and turns. Each character is playing their angle and will surprise you. With Truth, the real truth is to trust no one. Wow, if Consequences was all about actions and consequences, then Truth is all about the truth that paved the way to those actions. In fact, it’s all about separating the lies and deceptions from the truth. Honestly speaking , I'm not going to get into what this book is going to offer story wise because there is no way I can do that without giving away a lot of spoilers . And it’s something I don’t want to do. This journey is for the reader and for the reader alone. The blurb gives a perfect description of what you will be getting yourself into ... okay, maybe not EXACTLY what you'll be getting into, but if you've read the first book then there shouldn't be a question of thinking what you can expect from this book. Aleatha is a mastermind-ish twister of events, scenes and scenario’s! Phew ... that was exhausting! I loved Claire in this book. Her decisions were a bit shocking at times, but that’s just who she is, or that’s what she's made up of. Somehow, I found her as a person who looks into the soul of a Person, someone who is optimistic in her approach towards life. And judging by that there was no questioning the path she took. But is she right or wrong? She was a victim before, but this time, has she deliberately walked into a trap that could lead her to darkness? Or has she bought about a change that no one expected, a change of heart and mind, a change of Priority. Only time will tell. Lisa P. Goodreads: Coming out of reading Consequences and kind of knowing what an Aleatha Romig book is like, I knew that I was likely going to get something that I was not expecting with Truth. I was right. While Consequences was an amazing and mind blowing read, Truth was utter brilliance! Anthony and Claire’s relationship becomes even more complicated as “truths” are revealed and new characters are added into the equation. 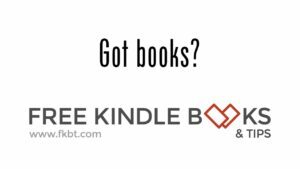 There are so many twists and turns in this book that by the end some of your questions will be answered but you will also have a million new ones. Seriously, you couldn’t even blink while reading fearing that you will miss an important clue. I guess that is the fun (or possibly the mind numbing torment) of reading both Consequences and Truth. The best part of writing Truth was my readers!!! I had 5 readers... great wonderful women who read five chapters a week and responded to each chapter. Their comments were wonderful. They kept me on track, they kept me honest and they definitely influenced the outcome of Truth!!! I really had to work and write to put out 5 chapters every week. One month I wrote 66 K words!!! But, when the story is flowing... I can’t stop! I loved having their feedback. They have all told me; they want to ride the ride for Convicted! I can’t imagine doing it without them! I hope all my readers of Consequences and Truth are also on board for Convicted!!! I promise more undiscovered Truths and more twists and turns!! !